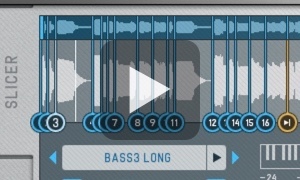 Use samples or full songs as a sound source. Instant Groove. 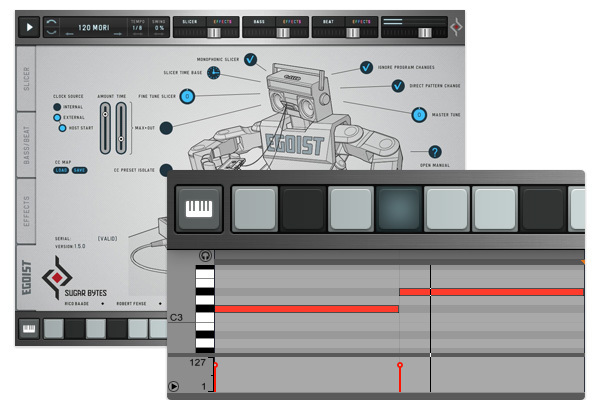 The onboard bassline, a drum machine and the multi-effect sequencer make Egoist the perfect track sketching tool in the studio and on the road. You’ll soon fall in love with its distinct features and concept. It's all simple but effective stuff. The Slice Arranger couldn't be more straightforward. Egoist easily does what would take considerable effort in a traditional sampler: In record time, it can rearrange even the most predictable of samples to some great-sounding chops. Each slice has separate controls of pitch, direction, attack, decay and volume. So, let’s assume you play the same snippet over and over again – each step would sound completely different than the one before. The factory library packs 760MB sonic material, from acoustic beats, piano- & percussion loops, synths, vocals to FX, so you can go for hours before using external audio. Via „Load Sample“, you can import the formats .wav, .aiff and mp3. What all good music is about. Having made a slice sequence, you might wanna grab inspiration by its tail and move on with the structure of your idea. Therefor we added the Bassline and the Beat. And this trinity of Sample, Beat and Bass really provides the most minimal setup to craft an idea in one go. 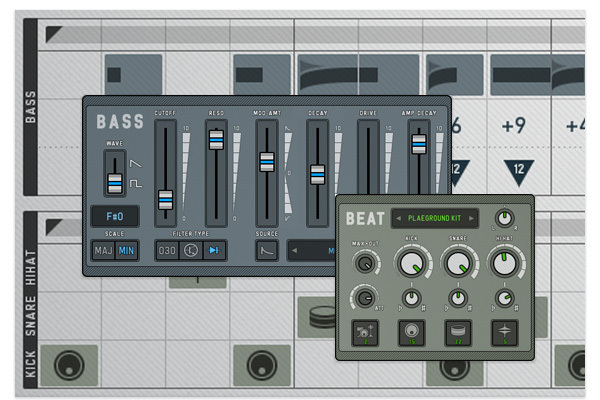 The Bass Tab lets you create classic bass lines (á la TB303 or SH101). 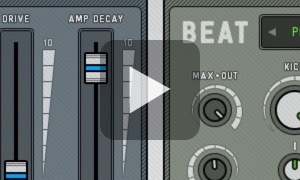 Run the oscillator in saw or pulse and tune essential parameters like resonance, decay & cutoff modulation. The drum module is straight and to the point, just like its neighbour. 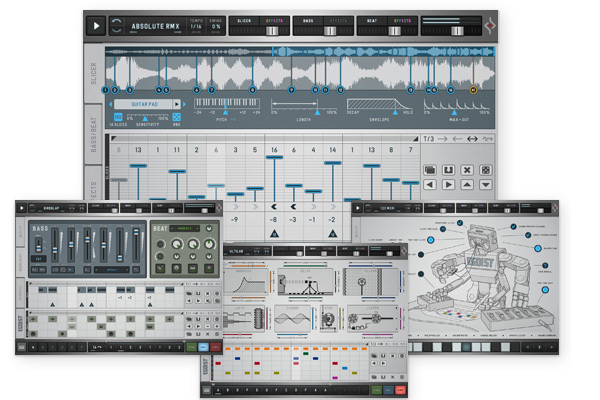 More than 1,000 sampled kick, snare and hi-hats (open and closed) neatly organised in 15 kits. 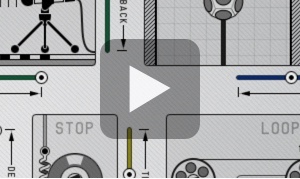 You can control pitch, loudness and velocity options. 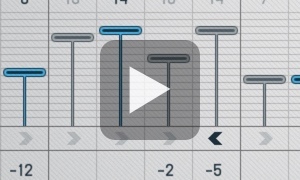 96 samples per drum kit and a "Mix and Match" option leave you with endless combinations. 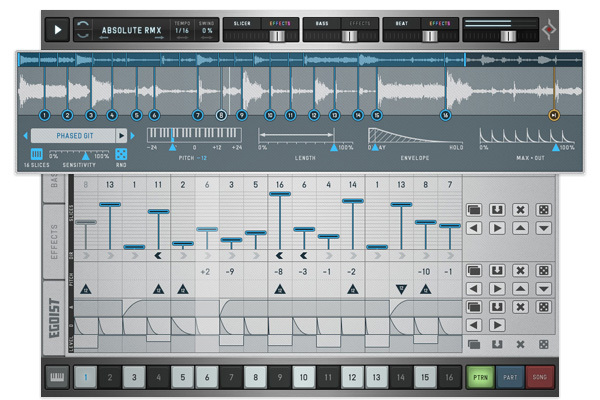 Arpiculation is arpeggiator and intonation. Rather than being a static add-on, the effects can be varied on a per-step basis. Of course, being able to treat effects as one-shot moments is much more dynamic than using overall global effects. A familiar concept to anyone who knows Effectrix. There are 7 processors in total, a small but well-formed array: Reverb, Chorus, Delay, Filter, Lo-Fi, Tape Stop and Looper – to be applied to Slicer, Beat and Bass. These con artists of sound are all quite beautifully depicted in their respective icons. Each offers a couple of parameters that can be edited via sliders, while the Filter section begins by offering 7 types and an equal amount of cutoff modulation sources from across the instrument. If you’d rather use your DAW’s sequencer instead, the small piano keys button at the bottom left lets you trigger the patterns or the individual slices. On the setup page you can select wether the sequencer’s clock source is internal or via your host, and choose if DAW/host will start the sequencer on playback. The patterns themselves are triggered by pressing C1 through D#2, and the individual sequencer slices by pressing C3 through D#4. 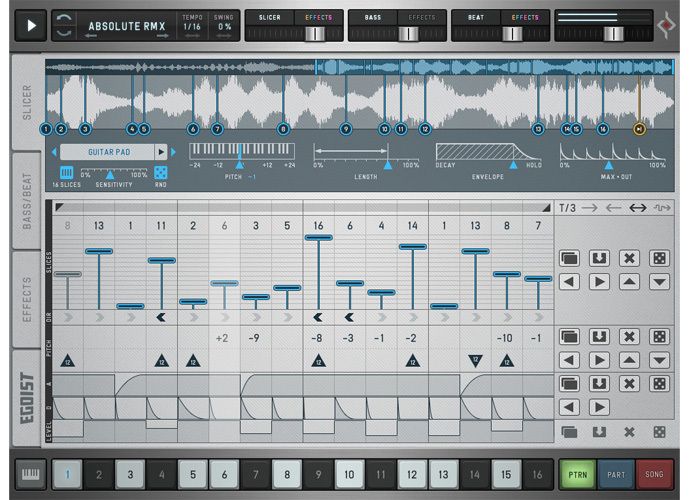 The new version adds features to all four engines: all sequencers are polyrhythmic now with independent clock dividers, the slicer got a monophonic mode, we added scales to the bass, powerful mod sources to the filter and a Pan control for the HiHats! There’s also new content: more presets, new slicing samples and a fresh drumkit: "Cwejman S1". Bass Gorilla produced the tutorials on Egoist. There's a fifth on the Settings Page on our YT-Channel. Some catchy tunes coming out of this thing. The sample library contains over 400 sounds in 16 folders filed according to their origin (drums, guitar, modular, SFX, etc.). 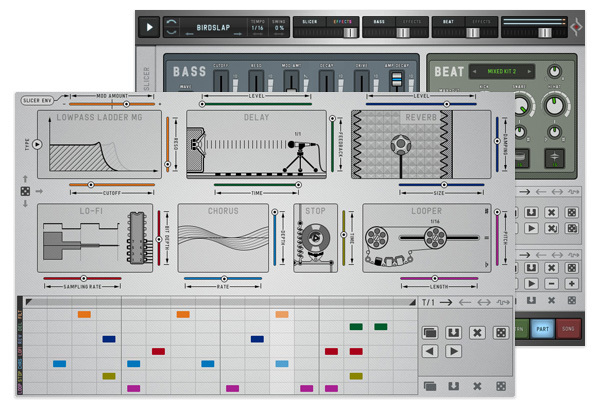 The drummachine comes with more than 1,000 sampled drumsounds. There are more than 200 excellent pre-produced presets, including a number from Detroit legend Mike Huckaby.